Oddly, the top international cyclist—Lance Armstrong—and the top international retailer—Wal-Mart—revealed last week that they have much in common. It’s their dopey concept of the atonement process. Armstrong, already punished for misdeeds he’d denied, took to television on Thursday to finally confess. But he didn’t apologize. He didn’t follow the redemption steps: admission and regret; a pledge to reform and a plea for forgiveness, then penance. Wal-Mart didn’t follow those steps either. Its CEO made national news last week when he announced the retail giant would hire 100,000 veterans over the next five years and buy $50 billion more in American-made products over the next 10. But Wal-Mart has never admitted wrongdoing or expressed remorse. More American manufacturing and more jobs are always good. Thank you, Wal-Mart. But, like Armstrong’s admission, Wal-Mart’s announcement was met with skepticism because the retailer skipped atonement steps. Meaningless to the economy, The Atlantic wrote of the Wal-Mart promise. “A public relations stunt,” Time wrote. Wal-Mart has much for which to atone. There is, for example, its leadership in blocking an effort to improve safety at factories in Bangladesh, where 112 workers would later die in a fire; its serial bribing of Mexican officials to circumvent regulations, and its snubbing of American warehouse laborers who are seeking better working conditions. Let’s start in Bangladesh. There, Wal-Mart buys more than $1 billion in garments each year. The lure is the lowest garment factory wages in the world—$37 a month. But that’s not enough. Wal-Mart and other garment purchasers demand such low prices from Bangladesh factories that managers cut costs in ways that endanger workers. After two Bangladesh factory fires in 2010 killed 50 workers, labor leaders, manufacturers, government officials and retailers like Wal-Mart met in the Bangladesh capital. A New York Times investigation found that Wal-Mart was instrumental in blocking a plan proposed at that April 2011 meeting for Western retailers to finance fire safety improvements. Just a little over 18 months later, 112 garment workers died in a horrific fire at the Tazreen factory in Bangladesh, where inspections repeatedly had revealed serious fire hazards. The New York Times found that during those 18 months, six Wal-Mart suppliers had used the Tazreen factory. In fact, in the two months before the fire, the Times found that 55 percent of Tazreen factory production was devoted to Wal-Mart suppliers. A month after the fatal fire, a Wal-Mart executive promised the company would not buy garments from unsafe factories, but the giant retailer hasn’t offered any solution for improving conditions in Bangladesh factory fire traps, and a Wal-Mart executive has admitted the industry’s safety monitoring system is seriously flawed. After being informed of the bribes by someone involved, Wal-Mart briefly investigated but then squelched that inquiry. Now Wal-Mart is under investigation by the U.S. Justice Department and Securities and Exchange Commission. Here in the United States, workers at warehouses contracted by Wal-Mart in Southern California and Joliet, Ill., walked off the job last year protesting low pay, lack of benefits, unsafe working conditions and faulty equipment. Wal-Mart indicated it might discuss solutions with the workers, but last week, the retail giant rebuffed them. Wal-Mart’s promise of 100,000 jobs for veterans is a good thing. Even if some of those jobs will be part-time. Even if the average Wal-Mart wage is $8.81 an hour —$15,576 a year—hardly enough for a veteran, or anyone else, to live on. Even if Wal-Mart will pay less than half those wages because the federal government will give companies that hire veterans tax credits of up to $9,600 a year for each veteran they employ. Wal-Mart’s promise to buy an additional $5 billion a year in American-made products is a good thing. Even if $5 billion is a tiny number to Wal-Mart, which sold $444 billion worth of stuff last year. Even if Wal-Mart’s demand for ever decreasing prices from suppliers is the reason many say they moved factories overseas where laborers are overworked, underpaid and endangered and where environmental are fire safety laws are ignored. Even if Wal-Mart is buying more American not out of patriotism but because it makes sense financially with both foreign wages and transportation costs rising. But Wal-Mart and Armstrong shouldn’t be surprised if their schemes don’t win them reconciliation with the American people. Armstrong’s failure to apologize reinforced the sense that he fessed up now only to secure the reprieve he wants from his punishment, from his banishment from certain sports. And Wal-Mart’s failure to even acknowledge that it has not been a perfect yellow smiley face of a corporation only evokes cynicism about its motives. No remorse, no redemption. Full disclosure: The United Steelworkers union is a sponsor of In These Times. This article was originally published by Working In These Times on January 22, 2013. Reprinted with Permission. 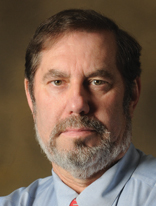 About the Author: Leo Gerard is the president of the United Steelworkers International union, part of the AFL-CIO. Gerard, the second Canadian to lead the union, started working at Inco’s nickel smelter in Sudbury, Ontario at age 18. For more information about Gerard, visit usw.org. The stunning decision today by a federal court to invalidate President Obama’s appointments to the National Labor Relations Board (NLRB) is being treated by the media primarily as a constitutional power struggle between the president, the Senate and the judiciary. But for labor unions—and the millions of workers they represent—the court ruling is just the latest evidence that the NLRB—a New Deal-era federal agency set up to handle all labor disputes—needs updating. It’s time for a new, more decentralized approach to protecting worker rights that supplements the current structure, which funnels all worker complaints through a single central agency in Washington D.C. The current NLRB delivered a number of significant pro-worker decisions in 2012, all of which may now be in jeopardy. In a single year, workers gained greater protections in their use of social media; protections from employer-mandated dispute resolution programs; and greater protections for automatic dues deductions, among others. After years of pro-employer boards, many in labor saw the current incarnation, which has served since January 2012, as providing a necessary rebalance of power. However, the NLRB was only able to reach these pro-worker decisions because President Obama used his recess appointment powers to appoint progressive members. Now, that act may be erased. On Friday, a three-judge panel of the Federal District Court of Appeals for the District of Columbia unanimously held that President Obama violated the Constitution when he made three recess appointments to the NLRB last January. The court rested its analysis on the definition of the word “the,” stating, “Then, as now, the word ‘the’ was and is a definite article.” Therefore a recess appointment must take place during “the recess” rather than “a recess.” In this instance, the Senate was not in session, but was not strictly in “the recess,” as it was gaveled in and out every few days. If this decision stands, the NLRB of the past year will have had only one properly appointed member, Chairman Mark Pearce. Hundreds of board decisions will be retroactively invalidated, and the board will be unable to function until at least two additional members are confirmed by the Senate. With the latest attempt at filibuster reform having failed, it is unlikely that the Republican minority in the Senate will allow new appointees to proceed quickly, if at all. It was this reality that led the sole Republican member on the then-three-person board to consider resigning in order to rob it of a quorum. (The GOP has long loathed the NLRB). Now, the D.C. Circuit Court has held that millions of workers will have their workplace rights suspended because of the definition of a definite article in the Constitution. The Obama administration will certainly appeal the D.C. Circuit’s decision to the Supreme Court, but given the high court’s current composition, it is unlikely that the decision will be overruled. The four conservative Supreme Court Justices can usually be counted on to vote against workers’ rights, and Justice Kennedy will likely be persuaded by the D.C. Circuit’s constitutional exegesis and appeal to Samuel Johnson’s Dictionary. Labor should take this opportunity to look beyond the NLRB as the sole source of workers’ labor rights. The court’s decision on Friday has made apparent that the board has become too weak to remain the only venue where workers can seek relief for labor rights violations. It is time to broaden the rights of workers by making labor organizing a civil right, so when employers illegitimately fire or discriminate against workers for organizing a union, workers can appeal not only to the NLRB, but also to a federal court. Just like victims of gender or racial discrimination, workers who suffered discrimination on the basis of union activity would get their day in court. As we discuss in our recent book, this proposal has many discrete benefits under a fully functional board. But it becomes a dire necessity with the prospect of the NLRB remaining defunct for a long stretch of time. Writing labor rights into our civil-rights legislation does not entail scrapping the NLRB, but rather giving workers the same choice they have with other forms of discrimination: to proceed through an agency or through the courts. The conferral of such a choice may actually strengthen the NLRB by removing some of the enormous political pressures that the noard currently faces as the sole arbiter of labor rights. An NLRB that doesn’t have to carry the weight of every labor rights fight could devote itself to pursuing egregious or particularly difficult cases. Conservatives would have less incentive to rob the NLRB of a quorum if workers could still proceed through the courts and receive potentially greater remedies. It’s unlikely we’ll see compromise on this issue from an increasingly intransigent GOP that has proven happy to gum up the works of government. Republicans have no incentive to confirm Obama’s NLRB nominees when a non-functioning board will render moot many of the nation’s labor laws and dramatically shift power from workers to corporations, which has been a core GOP goal. Labor should continue to work to strengthen the NLRB, but should also think about moving beyond it. A year’s worth of pro-worker precedent has been erased in a single day; that should be a wake-up call. This article was originally published by Working In These Times. Reprinted with Permission. About the Authors: Richard D. Kahlenberg, a senior fellow at The Century Foundation, and Moshe Z. Marvit, a Century fellow and labor and civil rights attorney, are coauthors of Why Labor Organizing Should Be a Civil Right: Rebuilding a Middle-Class Democracy by Enhancing Worker Voice (2012). True enough: Immigrant workers have been particularly important for unions in California and Latino organizing has helped reignite the state’s labor movement. But that’s only part of the story. Many California unions, allied with progressive groups up and down the state, have dedicated enormous resources to community and economic organizing. This has influenced California’s political culture. Union-friendly city councils, boards, commissions, a democratic legislature and statewide office holders produce a relatively pro-worker political and economic atmosphere. Though employer resistance to unions can be as fierce in California as in other states, there is also a growing sense that a cooperative relationship with labor can be good business (note the expedited permitting for the construction of downtown L.A.’s Farmers Field). California unions were ahead of the curve in recognizing the power of Latino workers and voters and then led other states in building diverse constituencies around progressive economic development strategies. The number of “living wage” districts around the state testifies to that. There is no pro-union state in the United States. But California (with 18.4 percent of the workforce unionized) may be pointed in that direction. Despite its failure to offer context, the Los Angeles Times piece draws the same conclusion. This post originally appeared on LaborLou.com and was also reprinted on AFL-CIO NOW. About the Author: Labor Lou – Laborlou.com began in 2009 as commentary on the Obama Presidency and then became more open-ended. This past year Labor Lou posted several autobiographical narratives. If you asked me about the most significant issue in workplace fairness today, I wouldn’t cite any of the common answers. Although there are widespread issues such as corporate bullying, the wage gap between men and women, and a general lack of freedom among employees, there is one problem that is more widespread and more egregious than anything else. There is no aspect of the modern American workforce which is as unfair as the unpaid internship. Work for pay is part of the social contract of modern life in a capitalist society. We all adhere to the same agreement: if you offer people a chance to contribute in a way that is valuable and if you define requirements around that work, they deserve to receive fair compensation for their efforts. Our organizations really are that simple: if there’s defined work to be done, you get paid for that work. If you’re not receiving some kind of payment—such as volunteering—then there is no expectation that you will work at a particular time or place, or that the work will be completed according to certain parameters. Work equals wages. That’s the only way to make things fair. Compensation doesn’t always mean cash. Sometimes, we pay people in-kind. We feed them. We provide housing stipends. We offer them credit or teach them something of value. In Europe, these programs are called apprenticeships. Individuals spend years working with a master craftsman to learn the trade. They often sign agreements to work for the employer full-time after their training is complete. And overseas, apprentices are paid for their efforts. But the internship has become something different. For many, this is not a job training program. Instead of working on actual projects of value to the company, interns fetch lunches and clean closets. They make coffee and photocopy documents. They perform concierge work such as picking up dry-cleaning or delivering packages. Many interns aren’t doing much work related to the business. These internships are not apprenticeships. Furthermore, perhaps one-half of all internships are unpaid. That means all of that grunt work is done simply for the chance to be near the people in the industry. Requiring individuals to perform work—but refusing to pay them for their work—is wrong. It’s extremely difficult to design an internship experience that meets all six of these requirements. Consider the first item. Most workplaces are nothing like schools. Do interns attend classroom-style instructional sessions? Do they have assignments which are graded? Do they receive individualized feedback? Do they study academic curriculum and report on their newfound knowledge and perspective? Furthermore, the fourth point is nearly impossible to meet. For an internship to comply with this statement, the intern cannot conduct effort that the employer can consider valuable. That means an intern cannot produce a work product that will be purchased by a customer. They cannot write articles for the company newsletter or the blog. They are prohibited from substantial contributions in sales presentations or marketing efforts. Ultimately: any work that an unpaid intern completes must be graded and then discarded. If you put an intern’s efforts to use in promoting your company, creating your products, or delivering your services—then that intern must be paid. The unpaid intern is not only an issue of workplace fairness, but also has a tremendous impact on our economy. When people perform work for free, they limit the growth of business by devaluing productivity. The more interns complete unpaid work—and the more that employers recruit unpaid interns—the less true economic activity is possible. In simple terms: if people are working for free, why invest money in paying for work? Therefore, the right thing to do for the country as well as for the people in your lives is to pay your interns. And if you can’t afford to pay them, that probably means you don’t have the resources to treat them like students and invest in their education. Do the right thing. Pay your interns. Or, send them somewhere that they can earn a living wage. 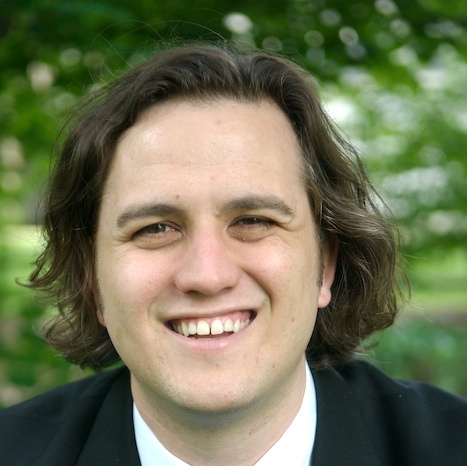 About the Author: Robby Slaughter is with a business consulting firm based in the Midwest. 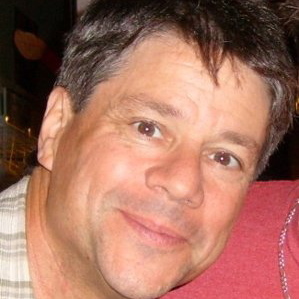 He is the author of several books and hundreds of published articles. Today the Bureau of Labor Statistics released new data on union membership for 2012. We did some number-crunching which shows that while unions are really important to women, their membership is dropping. What’s going on with women and unions? Between 2011 and 2012 the number of union members dropped by 398,000. Women were less than half (46 percent) of union members in 2011 – but they accounted for 72 percent of the decline. Men are more likely than women to be members of unions. The gap between men’s and women’s union membership has narrowed over time. Last year it grew, for the first time since 2008, by 25 percent. Women’s rate of union membership (11.2 percent) was 1.2 percentage points lower than men’s (12.4 percent) in 2011. In 2012, women’s rate (10.5 percent) was 1.5 percentage points lower than men’s (12.0 percent). Union membership is critical for women’s wage equality. Among union members, the typical full-time woman worker has weekly earnings that are 88 percent of the typical man’s. Among workers not represented by unions, this figure is 81 percent. It’s likely that women’s concentration in public sector jobs (women comprised 57 percent of the public sector workforce in 2012) was a key factor in this union membership decline. The rate of union membership in the public sector workforce in 2012 was more than five times higher than in the private sector (35.9 percent as compared to 6.6 percent). Public sector workers comprise just over half (51 percent) of union members in 2011, but they accounted for 59 percent of the declines in union membership between 2011 and 2012. A few wonky data details: BLS data on union membership include all employed wage and salary workers 16 and older. Figures are 2011 and 2012 annual averages. Data are not available broken down by gender and sector. Data on the wage gap for union members differ slightly from the often-used measure of median annual earnings for full-time, year-round workers. Using this figure, the typical woman makes 77 percent of what the typical man makes. This post was originally posted at NWLC. Reprinted with Permission. About the Author: Katherine Gallagher Robbins is a Senior Policy Analyst for Family Economic Security at the National Women’s Law Center where she examines how tax and budget policies influence the financial stability and security of low-income women and families. 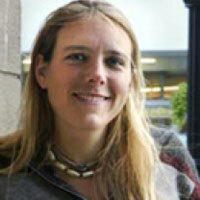 Before joining the Center in 2010, Ms. Gallagher Robbins worked as an organizer for the California Public Interest Research Group at the University of California, San Diego. She is a Ph.D. candidate in Political Science at the University of Michigan, Ann Arbor, and a graduate of the College of William and Mary. When the ESPN Zone restaurant in Baltimore’s touristy Inner Harbor development closed abruptly on June 16, 2010, about 150 workers lost their jobs. Most were paid low hourly wages with few benefits, barely making ends meet and relying on the busy summer tourist season to get them through the slow winter months. Because they’d only found out about the closing only a week earlier, they had little chance to find new employment for the summer. In October 2010, United Workers, a grassroots advocacy group running a larger campaign for economic justice and human rights at Inner Harbor establishments, helped some of the laid-off workers file a federal lawsuit alleging violations of the Worker Adjustment and Retraining Notification (WARN) Act. The lawsuit named the Walt Disney Company—which owned the Inner Harbor ESPN Zone, as well as four other locations around the country that also closed in summer 2010—and its subsidiary Zone Enterprises of Maryland LLC, which operated the Inner Harbor location. On Jan. 3, 2013, more than two years after the lawsuit was filed, a U.S. District judge issued a ruling that United Workers see as an important victory, stressing the importance of the federal WARN Act and launching a process wherein workers will be able to collect additional pay due to them under the act. The WARN Act requires that companies give workers at least 60 days’ notice of mass layoffs and mandates that if a company fails to give adequate notice it must pay workers 60 days’ worth of wages from the date notice is given. The amount is to be based on the worker’s average wages over the last three years or their pay rate at the time of closing. When the Inner Harbor ESPN Zone closed, Disney gave the workers “notice pay”—in the form of weekly paychecks and an end lump sum—and based the amounts on the employees’ earnings during the previous six months. But since the restaurant closed in June, that meant the notice pay was based on a slow season, not the much higher pay for long summer hours they would have actually received had they worked in June, July and August. The lawsuit argued that this was a violation of the WARN Act, and U.S. District Judge Catherine C. Blake agreed that workers were due additional pay, launching a second ongoing legal phase in which the pay due to each individual worker will be determined. Andrew D. Freeman, the attorney representing the workers, said they will also seek class action status, meaning all the laid-off workers could be eligible for compensation. In its response to the lawsuit, Disney argued that the WARN Act allows temporary pay reductions of up to 50 percent without notice, and said the workers got more in notice pay than they would have in such a situation. But Freeman noted that the pay reduction provision of the WARN Act is only supposed to apply during a temporary downturn when the business is ultimately remaining open—not in a closing situation like ESPN Zone’s. In her decision, Judge Blake agreed with Freeman that the provision did not apply to the case at hand. This article was originally posted on Working In These Times on January 15, 2013. Reprinted with Permission. “Just Cause”: Isn’t It Time For All Workers to Have Some Job Security? During World War Two, employers were prohibited from raising wages because of wartime Wage and Price controls. With labor in short supply, employers and union leaders sought ways around the government limits and agreed to new health insurance benefits as an alternative to increased compensation. Thus was born our odd system of employer-based health insurance. That seemed like a good idea at the time because union leaders could achieve through collective bargaining what had been elusive through government reform: health security for their members. Over the next thirty years or so, health insurance benefits expanded. As more and more workers were covered by private insurance plans provided through their employers, the urgency of winning broad political reforms diminished and labor backing to win universal coverage faded. Our failure to expand the health benefits achieved through collective bargaining to the entire working class eventually left union members in a vulnerable position. At a certain point, union health benefits for the relatively few union members were far more generous than what most workers had. Faced with out-of control health costs employers sought to make cuts and throughout the 90s and 2000s union members increasingly were not able to defend them. That lesson shouldn’t be lost as we face what I predict will be the next collective bargaining battleground: the job security provisions of union contracts, including the “just cause” clause. Instead of waiting for such an attack, we should seize the opportunity to champion passage of “Just Cause” standards into state laws. It’s a labor law reform proposal that will appeal to all workers while putting employers on the defensive. It’s long overdue. The United States is alone among industrialized countries in allowing at-will employees to be terminated for arbitrary reasons. Governments such as France, Germany, Japan and the United Kingdom require employers to have a “just cause” to dismiss non-probationary employees. Just cause appeals to basic fairness, just as due process does in court. Just cause marks the dividing line between employees with job security and “at-will” employees. At-will employees have no job security: they can be fired for a mistake, an argument with a supervisor, a critical comment about the enterprise or management, taking a sick day, a complaint about working conditions or pay, or involvement in outside political campaigns* – all activities that just-cause covered workers can take part in without worry. Winning “just cause” legislation would certainly not be easy. But building a movement to win it offers union leaders and activists an opportunity to champion an issue that would benefit all workers and also help union growth. Short of state or federal legislation, local unions, CLCs (Central Labor Councils) and workers’ centers could seek to enforce a just cause standard through workers’ rights boards and / or community pressure. A “just cause” campaign would potentially engage working people at many different levels. One can imagine communities declaring certain areas, “Just Cause Zones” and fighting to enforce it as a community standard with employers. Other supporters could be involved using the proposed legislation as a “litmus test” for labor support in electoral campaigns. Still others could be involved in holding hearings on the importance of achieving a “Just Cause” standard and lobbying for passage with city councils and state legislatures. If “just cause” campaigns succeed, workers will have more security to participate in union campaigns. Union leaders and organizers will be able to make the point that they are experts at enforcing just cause protections and can provide representation at hearings etc. Meanwhile, if employers do seek to roll back the just cause articles in our contracts, union members won’t be in the same position we were with the attacks on health care. Instead, we will have laid important groundwork to win broad public support and the employers’ attack can be parried, perhaps even used to strengthen the broad campaign. Imagine the labor movement leading a campaign to win Just Cause protections for all workers. The sooner we get started the better! Readers interested in learning more about the Just Cause standard should read Robert Schwartz‘s new book, “Just Cause: A union guide to winning discipline cases.” The book lays out seven tests that are the guiding principles for discipline and discharge in most union workplaces. With reform, those same standards could apply to everyone. More info go to Work Rights Press. This article was originally posted on Union Review on January 8, 2013. Reprinted with Permission. ABOUT THE AUTHOR: Rand Wilson has worked as a union organizer and labor communicator for more than twenty five years and is currently an organizer with SEIU Local 888 in Boston. Wilson was the founding director of Massachusetts Jobs with Justice. Active in electoral politics, he ran for state Auditor in a campaign to win cross-endorsement (or fusion) voting reform and establish a Massachusetts Working Families Party. He is President of the Center for Labor Education and Research, and is on the board of directors of the ICA Group, the Local Enterprise Assistance Fund and the Center for the Study of Public Policy. As if we didn’t already have enough on our plates (having to fend off attacks from the “Fix the Debt” CEOs), now there’s another group of CEOs, the Business Roundtable, telling us we need to “modernize,” a.k.a. cut, Social Security and Medicare benefits by raising the eligibility ages and reducing cost-of-living adjustments (COLAs). How helpful. R.J. Eskow took on the Business Roundtable in his latest blog, How Extreme Is the Business Roundtable? Check Out Its Attack on the Elderly. That’s true. It is pretty easy. Just kick in a few rich people’s doors, seize their belongings…oh, wait. That’s the other extremist scenario. Loveman’s is the one where people who have paid for Social Security and Medicare coverage throughout their working lives must give some of their benefits up—for him and his friends. These CEOs are the same people cutting back on pensions and retiree health benefits. Now they want working people to have even more economic insecurity in retirement by cutting the few benefits that keep seniors afloat. Raising the Social Security retirement age is especially damaging. Not only is it a benefit cut, workers 55 and older have the longest bouts of unemployment. The average time unemployed is nearly a year (51.3 weeks, compared to 34.3 weeks for workers younger than 55). Eskow points out that 8.9% of American seniors already live in poverty, while 5.4% are on the edge. The average Social Security recipient collects $1,164 per month. Anyone who claims they can cut those benefits by 3%—and use those meager benefits to end elder poverty—is selling snake oil. Snake oil indeed. There’s nothing more cynical than calling devastating cuts to vital lifelines “modernization proposals.” Working people know the difference. This post was originally posted on AFL-CIO on 1/17/2013. Reprinted with Permission. About the Author: Jackie Tortora is the blog editor and social media manager at the AFL-CIO. Interviewing union musicians was her introduction to the labor movement. Her first job after graduating college was in Syracuse, New York, where she wrote and edited the International Musician, the monthly magazine for the American Federation of Musicians (AFM). Protecting Social Security and Medicare from benefit cuts brought me to Washington, D.C., where she spent two years as a new media coordinator at the National Committee to Preserve Social Security and Medicare. She came to the AFL-CIO in the summer of 2012, just in time to re-elect President Barack Obama. When she’s not tweeting about America’s unions, it’s likely she’s watching Syracuse basketball and football. "This is Not Just a Steelworker Issue"
Showing solidarity with our union brothers and sisters is a great way for us to ring in the New Year, says Jim Key, vice president at large of Steelworkers Local 550 in Paducah, Ky. The link to the petition is http://wh.gov/Reqy. The future is now, says Chris MacLarion, vice president of USW Local 9477 in Baltimore. One of his members, Eric Schindler, started the petition, using their former employer, RG Steel, as an example of corporate greed run amok. The petition, addressed to the Obama administration, explains that in March 2011, RG Steel, LLC, entered into a contract with the USW. But in June 2012, the company filed for chapter 11 bankruptcy. While in bankruptcy proceedings, RG Steel asked to be permitted to pay $20 million in bonuses to 10 “key managers” to help the company “secure a buyer,” the petition also says. “…After the buyer was named these managers were to be paid their salaries and other monies” including funds to purchase health insurance. MacLarion says his local represented about 1,850 USW members in RG’s Baltimore mill — the former Sparrow’s Point Bethlehem Steel works — and approximately 150 more in amalgamated units that serviced the factory. MacLarion says he and the members of his union liken the RG Steel bonus grab to paying the captain of the Titanic a bonus for hitting the iceberg while managing to keep his ship afloat for almost three hours afterwards. Meanwhile, Key has gained the support of the Paducah-based Western Kentucky Area Council, AFL-CIO, which represents AFL-CIO affiliated unions in the Bluegrass State’s 13 westernmost counties. Key is a recently-elected council trustee. “We all need to sign this petition,” said Jeff Wiggins, council president and president of Steelworkers Local 9447 in nearby Calvert City, Ky. “This is not just a Steelworker issue. This is an issue that affects all union members, retirees and members still working, and our families. This article was originally posted by Union Review on January 10, 2013. Reprinted with Permission. 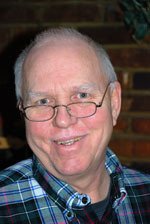 About the Author: Berry Craig is recording secretary for the Paducah-based Western Kentucky AFL-CIO Area Council and a professor of history at West Kentucky Community and Technical College, is a former daily newspaper and Associated Press columnist and currently a member of AFT Local 1360.